Discussion in 'Microsoft Surface General Discussion' started by cboner, Aug 2, 2018. Miscrsoft Surface headset react I think they are called. Sounds good. Not a lous as wired. Have some issues with sound clipping out depending on signal. Decided to try a nice wired. Marsno M1 is sound and fit. Also much lighter and smaller than wireless. My friend recommended me this one and I searched some videos and I guess it may meet my need, but I am not sure if I need to choose this one. So basically I'm still searching for the best option. Lets hear what you all use and like. Any ideas or suggestions from different people? Well mine is wireless because I use them on weights machines and wired the wires get tangled with the equipment. I use both kinds, and am partial to Sennheiser. wired. I plug them in and they work, job done. I've had wireless headphones and speakers etc, and at some point I inevitably find them out of battery when I'm wanting to use them. I prefer wireless coz it is more convenient when listening at work. If I'm out about I use my EarPods... if I'm inside listening to music or watching a TV show I'll use my wireless headphones - AKG Y45BT. Wireless is my choice, because I am generally moving from room to room too much to worry about wires. Out of the house I actually like the Air Pods because they are small, the case recharges them and they work well for pausing the music when you pull one out and for hands-free calling. In the house, I prefer the over the ear type with active noise cancellation and the cable option to be able to use it plugged in or Bluetooth. It can save hassles on airlines, etc. Why preferably the Beats if you don't mind my asking? The reason for my question is that I recently picked up a pair of the Beats Studio 3 on a good deal at Best Buy, $100 off to replace an older set of headphones. But even at $249, I am having a hard time convincing myself that I like them. The sound to me is bass-ey, but otherwise a bit flat overall. I am not sure if that is the overall sound signature of these, or if it is the noise cancellation. I have admittedly not had the chance to try them with it off yet. I picked up a Set of B&O Beoplay 4H yesterday, and have to say that overall I prefer the sound, especially tuning it with their app a little. But they aren't as feature rich as the Beats. I have been considering giving the Bose QC 35II, Sony 1000XM3, Bowers & Wilkins PX and B&O H9i's a try, but then I keep telling myself that for the $249 I paid for the Studio 3, that they are probably the best bang for the buck among those. I have some Anker Soundbuds slim. Pretty good considering the cheap price especially compared to Beats and Apple headsets. 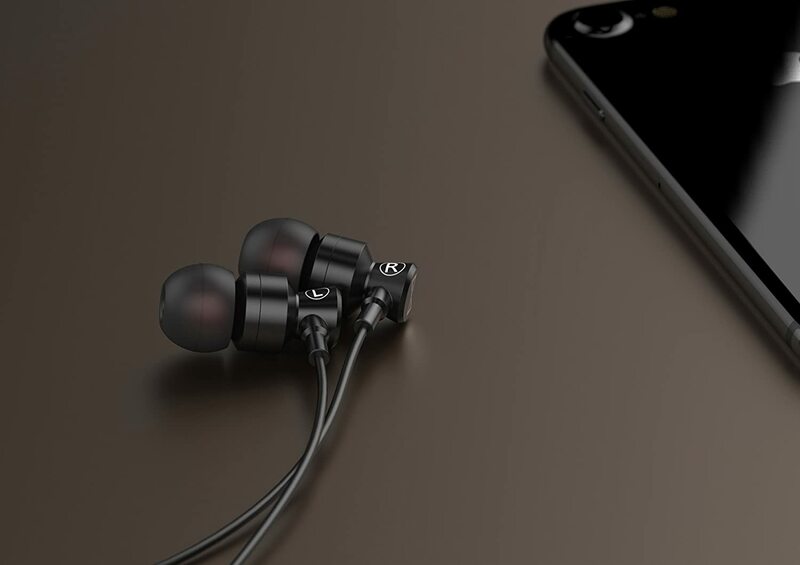 I'm actually interested in the soundbuds that my phone Manufacturer OnePlus make, Bullets Wireless, they're apparently Beats killers for lower price just like the phone itself which offers massive bang for the buck. Must admit though I usually use a pair of wired Bose headphones as I can't be arsed to find the soundbuds (currently no idea where they are) or make sure they're charged. lol. Wired is just easier.